In the complex and dynamic field of geriatric psychopharmacology up-to-date data on drug efficacy and prescription guidelines are at a premium. 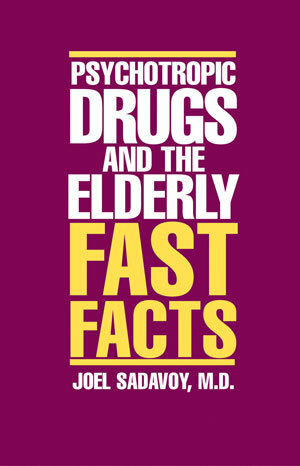 Designed as an accessible and practical day-to-day clinical practice guide, Psychotropic Drugs and the Elderly provides essential information as well as the depth of knowledge necessary for specialized pharmacotherapy of elders. Medical issues typically presented by seniors, disabilities that accompany the aging process, and nursing home situations are addressed throughout so as to give clinicians the facts they need to work with elderly clients. All major drug classes receive comprehensive coverage: antidepressants, antipsychotics, anxiolytics, mood stabilizers, and cognitive enhancers. For each class, Sadavoy addresses the impact that changes in human physiology have on the standard directives for prescription and the necessary warnings regarding side effects and cross-indication. A wide range of disorders is addressed with particular emphasis on disturbances and disorders that are encountered when treating the mental health of the elderly: Alzheimer's Disease and other forms of dementia, behavioral disturbances, anxiety and depression, mania and other mood disorders, and various forms and presentations of psychosis. The comprehensive presentation of dispensing directions is rigorously based on the most current research and accepted clinical practice. 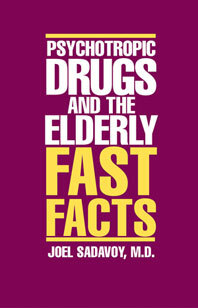 Psychotropic Drugs and the Elderly: Fast Facts is organized in the same format as Norton's other titles in the highly successful "Fast Facts" series with individual chapters devoted to classes of medications and all critical information presented in easy-to-read tables and charts. With authoritative content and a well-planned presentation, this handy guide is essential reading for physicians, psychogeriatricians and all mental health professionals who treat the elderly.